Асоцијацијата за напредок, едукација и лобирање – НЕЛ од Скопје, објавува отворен повик за 2 учесника од Македонија за конференција на тема “Youth & Job Browser“. 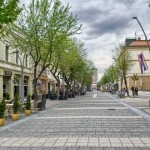 Конференцијата ќе се одржи во Шабац, Србија од 18-ти до 21-ви јуни 2018, во рамките на програмата Еразмус+ на Европската Комисија. Сместувањето и храната се целосно покриени од страна на организаторите, како и патните трошоци до 150 евра. Услов за учество е пријавените да имаат над 18 години, да се мотивирани и подготвени да учествуваат во сите активности на проектот и да се способни да комуницираат на англиски јазик, бидејќи тој е работен јазик на проектот. Во продолжение прочитајте повеќе детали за проектот, а доколку сте заинтересирани да учествувате на конференцијата, испратете пополнет апликационен формулар или прашање на contact@pel.mk со назнака (subject) „Youth & Job Browser“ најдоцна до 13-ти јуни. Апликациите кои не се во сочувани во оргиналната форма (word – .doc) нема да бидат прифатени. Young people have been hit especially hard by the economic crisis. A rising number are facing unemployment in Europe, making them feel frustrated, fearful and hopeless. In this segment education and world of work meet in the most direct and visible way. Tailored programmes and services in youth associations are recognized by project partners as investment in young people which will improve their flexibility and security in the labour market and stimulate their active participation in the economic, social and political life. By this project we want to increase capacity of youth workers to develop tailored non-formal education programme to support professional orientation and career decision of young people, including those with fewer opportunities, both at local and European level. Specially to develop basic instrument of human resources development (in professional orientation and career decision) and to promote social goals at the same time: lifelong learning – to fight early leaving of school by young people especially those with fewer opportunities and to inform them about knowledge and skills needed for facing the challenges in the labour market; labour market goal – to reduce gap between offer and demand by dealing with unemployment issue and by improving the quality of youth competences and mobility and social equality and inclusion goal – to promote reintegration of young people into education, training and employment. Project consists of Online Kick off meeting, Training of Youth Workers (Serbia), Testing Job Browser method (in local communities of all partners), Youth Exchange (Albania), Local initiatives ToDo (in local communities of all partners), Production of T-kit and Online info session about Job Browser method, Conference on Youth Employment Opportunities (Serbia) and Evaluation meeting (Croatia). Project partners are from 7 European countries: Albania, Croatia, Macedonia, Romania, Portugal, Bulgaria and Serbia. Project fits into the European youth policy that is presented in The EU Strategy for Youth. It is also in relation with Europe 2020 strategy calls for the development of knowledge, skills and competences for achieving economic growth and employment and initiatives ‘Youth on the Move’ and ‘Agenda for new skills and jobs’. LANGUAGE: The working language of the conference will be English. 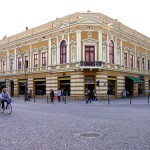 The Conference will be held in Sabac. 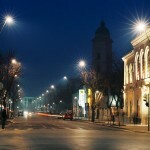 Sabac is located in the Western Serbia, around 90 km away from Belgrade, the capitol of Serbia. 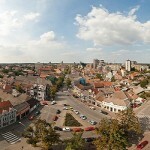 City of Sabac occupies north part of Northwest Serbia, in the area of 795 km² with 118.000 inhabitants.